The Town – Welcome to the bank robbery capital of America. 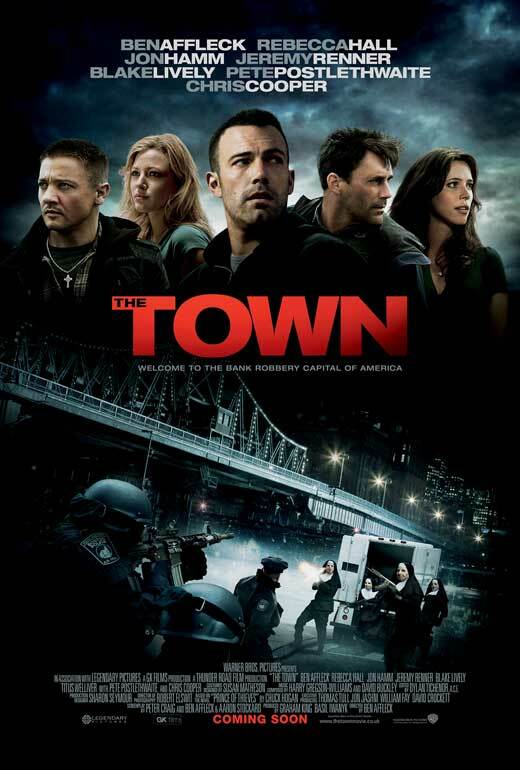 Ben Affleck directed and helped write this intense movie about a group of thieves who live in the bank robbery capital of America. Doug MacRay leads the group through every job with precision and plenty of homework for each job. James Coughlin is the loose cannon portrayed brilliantly by Jeremy Renner; Coughlin is hoping that Doug and his sister Krista will finally get together and stay together. This is a pipe dream that through the course of the movie we see is not going to happen. Doug gets involved with a woman who was at one point his hostage, she is unaware because he was wearing a mask. The FBI and police close in on this group and the action picks up when the law gets closer. A very good effort and an enjoyable movie. I love the scene where Affleck approaches Renner and says “I need your help. I can’t tell you what it is, you can never ask me about it later, and were gonna hurt some people.” Renner without hesitation says “Whose car are we gonna take?” This establishes Renners character to perfection and I think it is the sharpest line in the movie.